Are you looking for the best College Spring Break Cruises? We have searched and secured large blocks on the best Spring Break Cruises for 2019. These cruises include the perfect combo of sun, sand, drinks and most of all OTHER COLLEGE STUDENTS. When looking into the best Spring Break Cruises, it comes down to two options. Both cruises depart from Miami for the Bahamas on Mondays and return four days later on Friday. One provides Open Bar (21+) throughout the cruise and the other an Optional Drink Package. Both include all of your meals from beginning to end, world class entertainment, daytime activities and nightly parties. These cruises are Spring Break centered, so you won’t be stuck in between families and retirees. Everyone on board will looking to party just as much as you! Why Book with STS Travel? With STS Travel, you will be part of the partying crew on the ship with free access to private events on and off the cruise. Upon arrival in Miami, you will be met by STS Staff who will be with you throughout the cruise. STS Travel can also assist you and your group with pre or post hotels in Miami and airfare. With STS Travel, you can leave the hassles to us and put your focus on partying and having fun. Below, I’ve broken down differences between each cruise. The sky is the limit with this Spring Break Cruise! You will leave all your worries in Miami as you board this all-inclusive cruise. Everything you could ever need is just a short walk away. No need to be nervous of accidentally emptying your savings because by all inclusive, we mean it! Never worry about where your next meal or, more importantly, next drink is coming from because the Norwegian Sky is an 848 ft ship that offers 10 dining options, 11 bars and clubs with free open bar, and exciting entertainment every night that are all included in your price. As soon as you wake up you can feel the excitement. On the pool deck live music and entertainment blast daily. You can hang in either of their 2 pools or 4 hot tubs with unlimited drinks in hand. Nightlife on board is consistently ranked at the top, hosting karaoke, games, and throwing nightly themed parties. 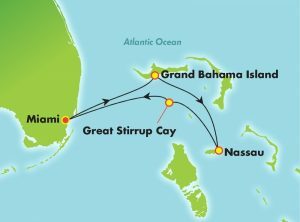 This popular 4 night cruise embarks and disembarks from Miami and makes stops at Grand Bahama Island, Nassau, and Great Stirrup Cay (Norwegian Cruise Lines own private island). Prepare to be wowed as you board this Spring Break Party Cruise. Recently renovated and ready to host you and 3,000 of your closest college friends, Mariner of the Seas is ready for a Spring Break Party. This cruise puts a unique spin on Spring Break by making you feel like you’re at a water park in the middle of the ocean. Slide down water slides, try your luck on the surf simulator, or party well into the night in their 3 pools and 6 hot tubs. Refuel at any of the 10 bars where unlimited drink packages are available and grab a bite at any hour from their 6 included restaurants. This lively Spring Break cruise guarantees you’ll never be bored. A new party starts every time the sun goes down. Choose from night clubs, 70’s Discos, pool parties, and karaoke, or hop around to all. Most are still going well into the AM. 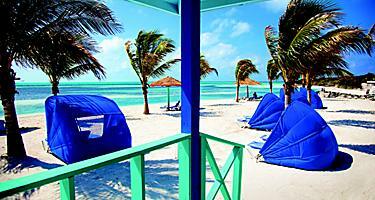 Mariner of the Seas disembarks from Miami and visits Nassau and CocoCay, Royal Caribbean’s own private island. Located on the southeastern shore of Florida, Miami has miles and miles of Instagram worthy beaches. It’s amazing mixture of beach and city vibes make it a perfect spring break location. Miami has something for everyone, from the local shore front bars to extravagant night life. Miami is home to some of the craziest clubs that are sure to make your stay worthwhile every day of the week. This thriving city is full of places to explore before your cruise and keep the party going after! The first stop when cruising on the Norwegian Sky. The Grand Bahama Island is the northernmost island of the Bahamas, located just 54 miles from the southern tip of Florida. Covered by miles of sand, shopping, and beachfront bars you won’t be bored on this island. Enjoy your day by soaking up the sun while sipping on Bahama Breeze or see how much money you can make for more drinks at one of their casinos. Wander through the colorful towns and party with the locals! In Nassau, hop off either cruise ship, smell the salty air, then head straight into Señor Frog’s (or any of the water front bars that are just a steps away from port).You’ll feel like you’re in a computer screensaver because of all the white sand and crystal water you’re surround by. Indulge in rum punches out of a coconut on Junkanoo Beach and maybe, if you’ve had just enough to drink, compete your Spring Break look with hair braids or henna tattoos. 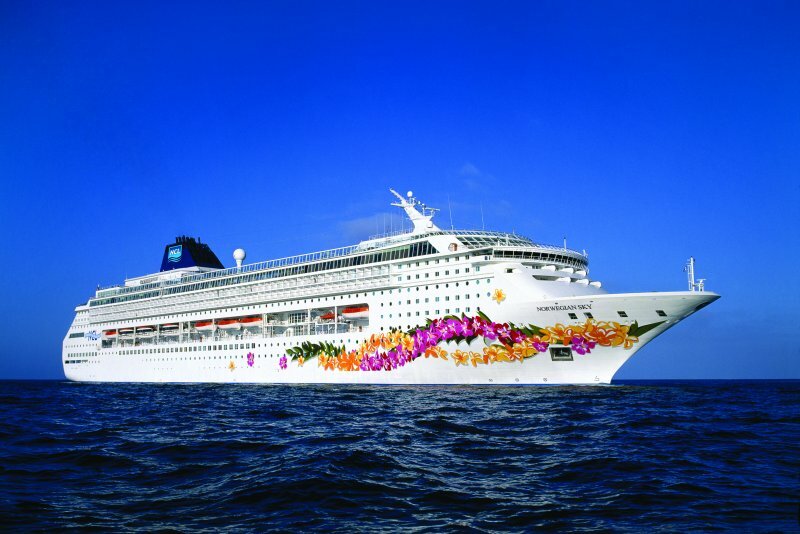 Spring Break like a celebrity on Great Stirrup Cay, a private island paradise just for the Norwegian Sky ship passengers! Every picture will be the perfect one with a beach like this. The unlimited street tacos are the perfect cure to your hangover and the pick me up you need to start drinking again! Just like on board, DRINKS ARE FREE! DJ’s and live music are constantly playing from all of the 4 bars on the island. Nothing beats the piña coladas from the Bacardi bar. Chill with your friends in the beachfront cabanas or lounge chairs before you have one last party on board! The fun doesn’t stop when you step off the ship. CocoCay is the picturesque private island for Mariner of the Seas guests. Spend your day taking advantage of the water sports/activities they offer. 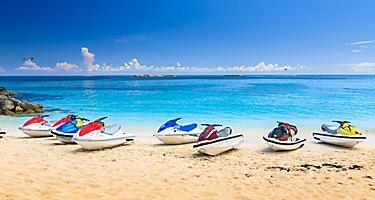 Scope out the perfect beach spot from above as you parasail over the island or race through clear waters on a jet ski. Grab a floaty and plop yourself right next to the floating bar so you never have to leave the water for a refill! Bring a speaker and lounge like a VIP in the private cabanas as you sip your drink out of a pineapple. All bars on the island honor the unlimited drink package so never worry about running out of money for drinks! When you disembark at the end of the week you’ll be wishing you could do it all over again. You and your friends will leave with a 10/10 tan, the best Bahaman rum, and plenty of stories to tell (if you can remember)! *Passports: US Citizens on closed-loop cruises (cruises that begin and end in the same U.S. port) and travel to destinations in Mexico, Canada, the Caribbean, the Bahamas, and Bermuda are able to re-enter the United States with proof of citizenship other than a passport or passport card. Acceptable proof of citizenship includes an original or certified copy of a government issued birth certificate (raised seal and signature) and a laminated government issued picture ID (typically, driver’s license), Consular Report of Born Abroad Certificate, or a Certificate of Naturalization. NOTE: Baptismal records and certificates issued by a hospital are not acceptable.